Termination meetings are always challenging. Minutes before you call the employee into your dispensary office, your heart pounds; you experience mixed emotions of guilt, fear, and justification; and you mentally rehearse what to say and how to say it. Keep the individual at arm’s length throughout the discussion. Create a threatening and intimidating atmosphere to persuade the individual not to sue you. Or extend an olive branch and help the individual come to terms with this new reality, heal the wound, and get on with his or her life. Let’s assume you’ve provided an employee with verbal, written and final written warnings as outlined in your company’s policies and in accordance with past practices. You’ve also spoken with outside legal counsel, as needed, to ensure that your termination is on solid, and legally defensible ground should the individual pursue post-termination litigation activity, and you’ve received the appropriate approvals to move forward with the termination. What do you say and, more important, how do you say it? One good thing about employees with workplace due process in the form of progressive discipline is that the ultimate termination shouldn’t come as too much of a surprise. True, individuals may feel that they’ve turned their performance around and up to an acceptable level and, as such, may feel surprised by your decision to terminate. However, even in times of disagreement about the ultimate decision to terminate, the individual should be aware that there’s a serious problem and that his employment is in serious jeopardy of being lost. This is a much kinder and gentler way to phrase what’s happening. Separating your employment says the same thing as ‘terminating you‘ or, heaven forbid, ‘firing you,’ but in a much more humane way that allows the individual to retain dignity and self-respect. While the initial shock of the announcement reverberates in the individual’s head, and emotions start kicking in, it’s important that you state your justification in a clear and to-the-point manner. I know you’ve been trying to meet the expectations outlined in the notices you received, and I appreciate that. Please don’t think that we see this as a lack of effort on your part. It’s just that sometimes we come to the realization that our interventions are not really sustainable in terms of matching a person’s efforts with our needs, and it becomes best to separate employment. I thank you for all you’ve done for us. I’m sorry it had to come to this, but I hope that as you think of this, you’ll realize this was probably the right thing to do for both sides. As a company, we don’t want to see someone constantly fighting an uphill battle just because of the job’s needs and that individual’s strengths really aren’t a good match or otherwise in sync. Don’t underestimate the importance of the words ‘thank you‘ and ‘I’m sorry it’s come to this. Especially when employees are feeling vulnerable, it becomes so important that they sense and experience a human touch. Cold and distant tones of voice and keeping individuals at arm’s length make it difficult for them to look inside, forgive themselves and focus on their future. Worst of all, any threats such as “And if you’re planning on suing us, good luck, because we’ve got the best outside counsel in our city on our side” will almost always create perceptions of resentment and anger. Don’t forget that a lawsuit is a tool for workplace revenge. Strip people of their dignity and humiliate them when they’re most vulnerable, and you significantly increase your chances of post-termination litigation. Permit the employee to pack up and leave now. Allow him or her to return after hours or over the weekend when fewer people will be around. Or assign security to accompany the employee back to his or her desk and out the door. The options available should be customized to the situation at hand. It’s always healthiest to avoid the ‘perp walk,’ where the individual is marched out in shame while accompanied by security, but in cases of theft, fraud or embezzlement, you may be left with little choice other than to do so. Barring such extremes, however, allow the individual to have some choice in the matter. Ask if he or she needs help with packing or moving his or her belongings to the car. And by all means, ask if that person would like a few minutes to say goodbye to co-workers. Healing the wound can start right away if the individual feels treated with respect and dignity. In addition, David, we want to handle this respectfully and thoughtfully. Although we’d like you to leave the premises shortly, will you want boxes to pack up your personal materials? If you’re not comfortable doing that now, we can arrange for you to come back and pack up later, or we could simply do that for you and courier your items back to your home later today. Also, would you prefer to leave quietly, or would you like to say goodbye to some of your co-workers before you leave the office? I know this is a lot of information coming at you at once. Do you have any questions that I can answer for you? [David – No.] Thanks for everything you’ve done for us, David. I wish you all the best in your career. How much time do you think you’ll need to pack up your desk and say goodbye to your friends? [David – 20 minutes.] OK, then, I’ll let our security folks know that you’ll be leaving no later than 30 minutes from now. At this point, the employee should meet with another HR representative, who will conduct a formal exit interview. That’s when the company will collect the employee’s ID badge, cell phone, laptop, office keys, and any other company items. Handled respectfully and communicated thoughtfully, this meeting should leave you feeling good about the way you’ve managed a particularly difficult situation and will give the employee the chance to focus on his or her future, rather than dwell on the past. 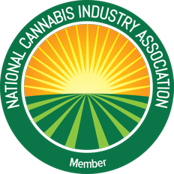 This entry was posted in Cannabis Industry, Human Resources and tagged cannabis employment, cannabis industry employees, dispensary employees, marijuana employment.